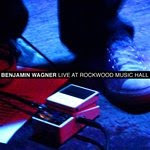 Authentic Records is proud to announce Benjamin Wagner’s new album, ‘Live at Rockwood Music Hall.’ You can get it for a whole ten bucks at the Authentic Records online store. We know. That’s a pretty good deal if we don’t say so ourselves. And if you’re not familiar with Benjamin Wagner, go check out his artist page. You can become friends with him on MySpace, follow him on Twitter…Benjamin has pretty much gone every route for you to be able to properly stalk him and keep in touch with the happenings fo his music world, so have at it!